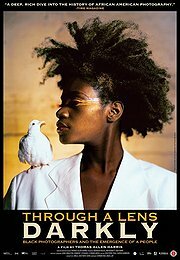 Through a Lens Darkly: Black Photographers and the Emergence of a People tackles a very provocative subject matter that hasn't been explored in any recent theatrical documentaries: how photography in America has shaped the identity of black Americans from the days of slavery until today. Director Thomas Allen Harris shows you many archival photographs of black American being stereotyped, i.e. stealing chickens, via photographs that were staged to create a negative and, most importantly, dehumanizing view of African Americans. Some photos of slaves showed them in a positive light, though, particularly the ones that abolitionist Sojourner Truth had printed. Don't be surprised if you're disturbed and outraged by the photos of lynchings where the white men and women gather around the hanging like it's a normal routine. Harris goes from micro-topic to micro-topic all connecting to the macro-topic---or thesis, rather---about photography's dehumanization of African Americans. Interviews with modern-day photographers, namely, Carrie Mae Weems and Renee Cox, help to shed further light and perspectives on the history of photography. While all of the insights are quite illuminating, Harris could have used more editing to piece it together in a more organized way while connecting it to the larger picture more often so that you don't find yourself wondering, "What's the doc really trying to say?" ---especially when Harris waxes poetic during voice-over narrations. To be fair, Through a Lens Darkly is mildly engaging and does cover a lot of ground without veering into dull territory for those who are interested in history and photography. 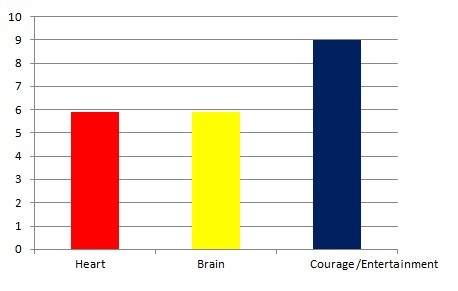 Anyone who's not interested in either of those areas of study might find themselves a little bored without more of a hook or at least better organization of its wealth of facts. It opens at the Film Forum via First Run Features. After retiring from the CIA five years ago, former CIA agent Peter Devereaux (Pierce Brosnan) has one final mission: to rescue a Russian double agent who's carrying with her evidence that incriminates Federov (Lazar Ristovski), a presidential candidate in Russia. The operation doesn't quite go as planned, and soon he and a social worker, Alice Fournier (Olga Kurylenko), find themselves on the run from David (Luke Bracey), a CIA agent who was Devereaux's protege 5 years ago. Meanwhile, his handler, Handley (Bill Smitrovich), has been taken hostage by CIA agents and gets interrogated. Whom can Devereaux really trust? Will he survive the mission and reveal Federov's dark secret? The November Man has the essential elements needed to make it an entertaining spy thriller. It doesn't rank up there with the best spy thrillers (North By Northwest, The Bourne Identity, but it does feel just as exciting and intriguing as a Bond film albeit with more violence and less tongue-in-cheek humor. To be fair, you might find yourself confused by the plot given its many intricate details, but what's wrong with being confused? Later on it'll all make much more sense for the most part as certain truths/hidden agendas rise to the surface. At least the screenplay doesn't resort to excessive flashbacks and exposition. In terms of action sequences, director Roger Donaldson does a decent job of delivering the thrills and, most importantly, unlike in some films where there's lots of shaky cam, you can actually see what's happening to whom during the action. Some suspension of disbelief should be used to appreciate those sequences which can also be said for any spy thriller. The fact that Donaldson keeps the running time at 1 hour and 48 minutes with a brisk pace instead of going over the 2 hour mark with a slow or uneven pace (yes, I'm looking at you, Skyfall) is a testament to his discipline as a director as well as to John Gilbert's talents as the film's editor. 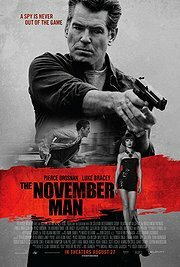 One of The November Man's strong assets is the casting of Pierce Brosnan in the lead role. Observing him as CIA agent inevitably reminds you of his role as James Bond. In both the Bond films and The November Man, he exudes charisma and seems comfortable in both the action and the slightly more fragile, dramatic scenes. He's born to play these kind of roles and, in this particular case, he's at his best. Kudos to the casting directors for choosing him. Number of times I checked my watch: 1 Released by Relativity Media. Opens nationwide. 16-year-old Eric Love (Jack O’Connell) has just entered adult prison because he has repeated his violent crimes. At the prison, he meets two individuals who will shape him for better or worse: his estranged father, Neville (Ben Mendelsohn), who happens to be a prisoner in the same wing, and Oliver (Rupert Friend), a therapist who leads group sessions with inmates in hope of helping them to escape their cycle of violence. Between run-ins with prison gangs, dealing with his father and the corruption of the prison system, Eric has a lot on his plate if he wants to not only survive prison, but to escape his violent tendencies which brought him there in the first place. 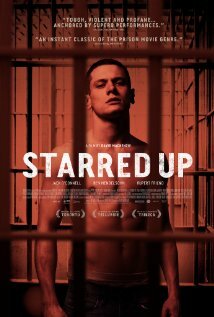 Gritty, intense, unflinching and taut, Starred Up is the kind of film that punches you right in the gut without letting up and takes you on a roller coaster ride of powerful emotions. The screenplay by Jonathan Asser doesn't resort to sugar-coating anything, but at the same time it presents you with a few glimmers of hope for Eric. If Eric's predicament were entirely hopeless, that wouldn't be very thrilling: it'd be the equivalent of watching someone falling off a roof when you know he'll hit the pavement very soon. In the case of Eric, it's not 100% certain if he'll smack the ground so-to-speak even though he's often heading in that direction. Eric makes for a very compelling character despite his many flaws, and it's wise of Asser to explore the dynamics of him and his father because it helps to enlighten you as to where Eric's destructive, immature behavior comes from fundamentally. Part of what makes Starred Up so effective on an emotional level is Jack O'Connell's bravura, breakthrough performance. 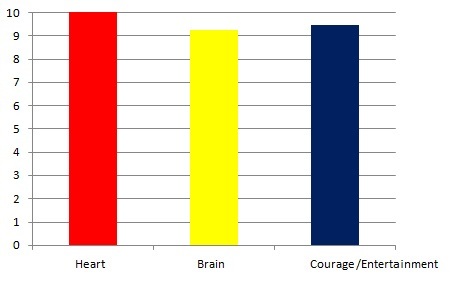 He's incredibly gifted because he tackles a wide range of emotions so convincingly and honestly. With the help of the screenplay and director David Mackenzie, he has found the core or truth of his character and brings it to life with utter conviction. Ben Mendelsohn is terrific as always, and Rupert Friend also impresses. Hopefully, we'll see much more of Jack O'Connell in the future. He's a star in the making. A minor caveat, though: subtitles might be needed while watching this film because the British accents sound too thick to be decipherable at times. At a running time of 1 hour and 47 minutes, Starred Up is the best prison drama since A Prophet. Number of times I checked my watch: 0 Released by Tribeca Films. Opens at IFC Center and Elinor Bunin Munroe Film Center. Questions? Comments? Please click here.